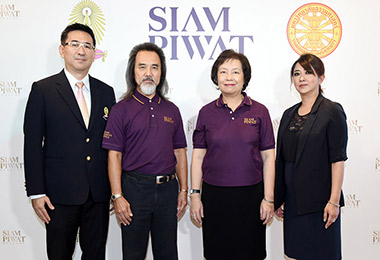 Throughout the period of over 60 years, Siam Piwat Co., Ltd. has operated its business in accordance with the principle of good corporate governance and the philosophy of sustainable development by building on its creativity and innovation to bring about positive changes and opportunities to Thai people so as to elevate the quality of life of people, communities, and the environment relevant to its businesses so that every party involved can grow together in its progress together towards sustainable development of the nation. To this end, Siam Piwat adheres to the motto “Think Different, Create More Value,” its core value in its corporate social responsibility activities. Its three main missions at the core of Siam Piwat’s CSR initiatives are PEOPLE - creating opportunities for people; COMMUNITY AND ENVIRONMENT - elevating the quality of life for people in communities and society and enhancing the environment; and NATION - establishing Thailand’s reputation on the global stage. 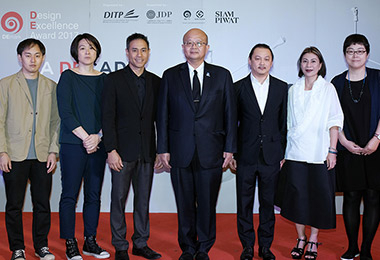 In 2015, Siam Piwat signed a memorandum of understanding with the Department of International Trade Promotion, the Ministry of Commerce. 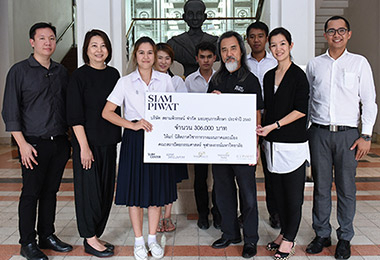 Siam Piwat recognizes the significance of promoting architecture as a field of education and career path for students. Utilizing its experience and success in its shopping mall and retail businesses, Siam Piwat founded Siam Piwat Academy in 2015. A product of the company’s vast experience that has crystallized into unique insight and its determination to create a comprehensive environmental. 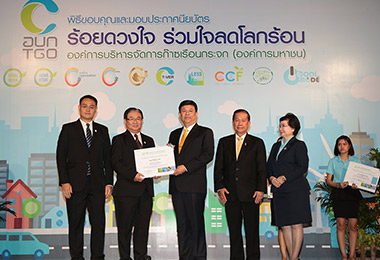 Siam Piwat joined “Anti-Global Warming Initiative” of 2016, hosted by the Thailand Greenhouse Gas Management Organization (TGO). 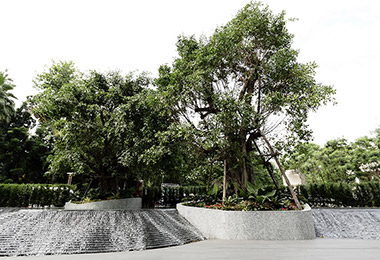 The Green Bangkok Network Project aims to create a network for environmental management. 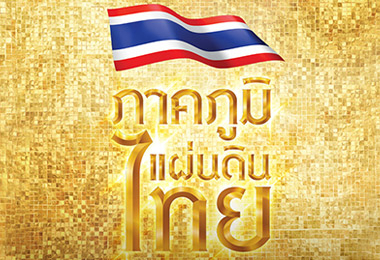 "The Pride of Thailand: Fill Our Nation With Pride" is a national-scale collaboration between the governmental and private sectors.